Address 140 Plantation Inn Dr. Description This Macon, Georgia hotel has an indoor pool, an outdoor pool, free internet access and non-smoking guest rooms. Free Wi-Fi complimentary continental breakfast and an indoor and outdoor pool are all part of the deal at the non-smoking Sleep Inn Macon located conveniently off the interstate. The three-floor hotel has 52 spacious rooms that feature flat-panel satellite cable TVs comfortable beds free Wi-Fi and wired internet access microwaves refrigerators and free local calls. Select accommodations include jetted tubs. The Sleep Inn offers you the choice of enjoying a seasonal outdoor pool and sundeck a heated indoor pool or an outdoor picnic area. Guests can gear up for the day with a free continental breakfast. Free coffee and newspapers free parking a business center and coin-operated laundry facilities are available for further convenience. Located right off I-475 the Sleep Inn is six miles from Macon State College and the Shoppes at River Crossing. Within about 10 miles of the hotel guests will find Mercer University and River North Golf Course. Middle Georgia Regional Airport is 18 miles away and Hartsfield Jackson Atlanta International Airport is 73 miles. 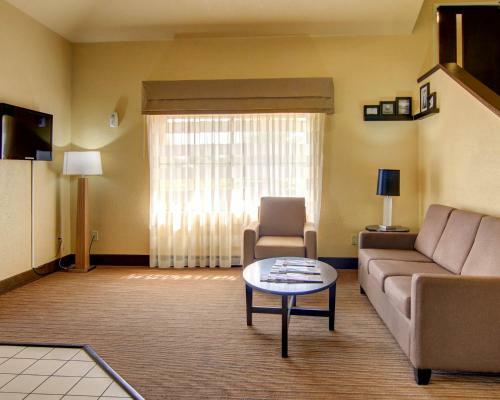 Add Sleep Inn Macon to your free online travel itinerary.